My wife and I went to see “Jurassic World” last night because … well, we’re still not sure why. Maybe because we had a Groupon. Anyway, if you like special effects, dinosaurs, awful writing and wooden acting, then this is your movie. As with all of the Jurassic Park movies, it’s a glorified Godzilla movie. Man messes with the natural order of things, creates a monster, monster goes out of control, many die, and in the end all agree that the whole thing was a bad idea. At least until the sequel. This story line can work. It doesn’t work here because the plot is worn, there’s virtually no character development and the acting is beyond awful. As we mentioned during the Writers and Editors Workshop, sympathetic characters are a key building block in any story. Watching “Jurassic World,” I found myself rooting for every main character to be eaten by dinosaurs. The story was completely predictable. No surprise plot twists, no interesting subplots. People run from dinosaurs and (spoiler alert) our plucky heroes somehow survive. Maybe I’m asking too much from summer movies, which long ago devolved into video games. 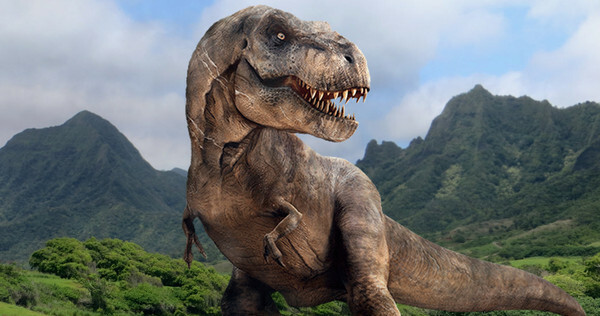 But I got angry watching “Jurassic World.” A good film — and any good story — respects the intelligence of its audience. Take Pixar, which has produced some of the best storytelling of our generation. Movies like “Toy Story” or “Up” build around themes like growing up, or loss. Pixar’s latest, “Inside Out,” is an ingenious take on the emotions surrounding a family’s long-distance move. The reason those Pixar films become beloved classics, while self-proclaimed blockbusters like “Jurassic World” wind up in the markdown bin, is storytelling. Identify a powerful, universal theme and you can build any crazy world you want to contain it. Those two elements — strong characters and universal themes — propel true stories of God’s work, too. Then, and only then, add a monster (something bad that must be defeated). Now you have a recipe for something memorable. Jesus’ parables contain strong characters, universal themes and yes, monsters. It’s why those stories are as easily relatable today as they were 2,000 years ago. Skip right to the monsters and all you have is a video game.